Get Best Prices and Quick Cash for your Note Today! There are tons of different approaches to setting New Year’s resolutions. A resolution can be a goal – an action or accomplishment you propose to achieve in the year to come. Or a resolution can be a declaration – a commitment you make, a stance you take. Many of you have probably read the book “Rich Dad, Poor Dad” by Robert Kyosaki. In it he drives home the point that you need to “Mind Your Own Business” by using the definition of the word mind as “the element of a person that enables them to be aware of the world and their experiences, to think, and to feel; the faculty of consciousness and thought”. In simpler terms to not worry about what everyone else is doing, saying or thinking and “Mind (Take Care) of Your Own Business” (because nobody else will) by doing and thinking what you know is best for and what will affect you personally and your company. This New Year I will continue to Mind My Own Business. 1.Next year I will resolve to do my own reading, ‘r’ticulating and ‘rithmetic. If you plan to buy or broker notes in 2014 and beyond, you’ll have plenty of documents to sign in the years to come. I encourage you to get out in front of all these commitments you make to others with three critical commitments to yourself: 1) Read everything 2) Speak up for yourself, and 3) Do your own math. Reading – Depending on how many notes you view and how many offers you make before you find “the one,” you could end up being asked to review and acknowledge thousands of pages of documents and contracts over the coming years. Do yourself a huge favor that seems obvious but is harder than it sounds: read them – all of them. Maybe you don’t have to read a completely pre-printed/boilerplate form you’ve signed five times before every single time you sign it. But even if you have made offers on 70 notes before, you do need to actually read the 71st notes documents before you make the offers. Be diligent with this. The more you know about the transaction, the better position you will be in when negotiating. Read them at your convenience, without feeling pressured, in the comfort of your own space. This allows you to make a list of your questions and concerns and to send them to the appropriate parties to be addressed while there’s ample time. ‘R’ticulating (articulating) – Once you read the documents make it a practice to speak up for yourself (in a positive, non-aggressive, inquiring way). That could mean simply asking questions, even when you think they should be obvious. It could mean asking the same question you’ve already asked twice, if you don’t understand the answers you were given. It could mean pushing back when you have strong, nagging concerns about moving forward with the transaction for any reason – making sure you’re comfortable with the totality of the transaction before you remove contingencies and move forward or fund the transaction. If you do not have a warm and fuzzy feeling about buying or brokering a note, maybe that’s a clue that you shouldn’t, no matter how much the return is! Whatever it looks like, no matter how mellow and non-confrontational your personality normally is, decide that you’ll be an assertive advocate for your own interests and needs in the context of the note business and each individual transaction. ‘Rithmetic (arithmetic) – Figure out your own monthly income and expenses, budget for what you can spend on marketing every month without skimping on your savings and investing funds, and go into this note business experience knowing what you can do and what you can afford. Don’t rely on others to do your math for you, no matter how much you hate math. Sit down and just do it. Learn the HP-10BII calculator backwards and forwards. There’s a 90% chance it’ll be less painful and less time-consuming than you think. 2. Next year I will resolve to take a long-term view. It’s super tempting, when a market is rising, to try to hurry up and buy out of the fear of being priced out. I’ve begun to hear some note buyers take shortcuts in their pricing and during their due diligence, counting on the rise in property market values to make it easy for them to at least get their money back if they needed to. This is foolhardy – given the costs of simply doing a note transaction, in most markets, it’ll be difficult to sell and cover even transaction costs if you are forced to do it in the year or so following your note purchase (even longer, in some areas). Don’t fall prey to this decision trap. Instead, resolve to buy or broker a note based on: the needs of the note seller, your risk tolerances (yield, location, type of property, minimum discount, etc.) and your personal requirements (commission structure, timing, etc.). Consider whether it’s sensible to broker or buy the note at all – your Master Buyer/Broker can assist you in making a decision based on the market statistics and your personal preferences. 3. Next year I will resolve to respectfully ignore the peanut gallery. On note business matters, you’ll find that everyone has an opinion. Doesn’t matter if they know what the note business is. Doesn’t matter if they’ve never brokered or owned a note. Doesn’t matter if they live in your town. Doesn’t even matter if you know them or not. Even mention that you’re in the business of brokering and buying notes and you’ll find that even the mildest mannered, quiet folks in your life will chime in and have something to say, regardless of whether you requested their opinion. You might have certain folks in your life who know you well, who care about your best interests and whose opinions you respect. There’s certainly nothing wrong with that. But here’s the deal – everyone who offers an opinion is not qualified to give it. And many folks will attempt to spread their fear and cause you to second-guess your own plans out of their own personal traumas, dramas and poor past decision-making or – worse yet – out of their own views about you and how you might change if you move forward with becoming successful in the note business. My suggestion and advice is to take in what’s helpful, benefit from others’ mistakes, and then ignore the rest. Take their opinions with a grain of salt. And take great pains to ensure you’re not attempting to escape the scariness of taking personal responsibility for this momentous decision by allowing your personal peanut gallery to pepper you with their opinions. If you already know the nervous Nellie in your life will try to talk you out of even the best-laid, smart note business plan, protect your dream by not sharing it with them. 4. Next year I will resolve to enjoy the ride. So many people brace themselves for tension, drama and upset before they start their note business or buy a note. And you know what? They find it! It’s wise to expect the unexpected, commit to going with the flow, and build in cushions of time and money to all your estimates and expectations. That flexibility can help you to retain your sanity, and might even make the difference between the ability to close your transactions. But I’m going to suggest you take it one step further and actually commit, in advance, to enjoying the note business and note buying process. If you look for what you can be thankful for and excited about in every situation, you will encounter dozens, maybe even hundreds of insights and opportunities that you’d otherwise miss. Brokering and Buying notes presents opportunities to: learn a lot about yourself, explore areas around the country, grow closer to your loved ones, grow your financial knowledge and status, create and put into play a universal vision and plan for your life. Is a Note Buyer Cheating You? Your favorite Note Buyer, Jeff Armstrong, has been buying Notes since 1991. Specializing in the seller financed notes for both real estate and business, he can be reached at 800-845-3055 or directly by email at info@armstrongcapital.com. If you are receiving payments on a note, click here to request pricing options. If you need an appraisal on your note or notes, please click here. If you are a note broker and need a quote on a note, click here . For education, training opportunities, or to learn about the note business, click here. Experienced, knowledgeable and professional note buyers have signed an Ethics Pledge and uphold an industry Code of Ethics and Conduct. 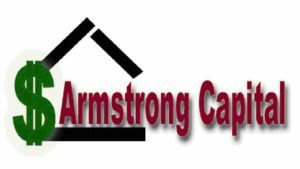 Since 1991 Armstrong Capital has operated in a straightforward, honest and fair manner... the way it should be. We invite you to contact us if you have any questions or concerns or if we can assist you in any way. Jeff Armstrong provides Nationwide Valuation Appraisal Services for Secured and Unsecured Promissory Notes. If you need a Valuation Estimate or an Appraisal of today’s cash value of your secured or unsecured notes, for the purpose of Estate Planning, Financial Planning, Income Statement Preparation, Balance Sheet Preparation, or any other purpose we invite you to contact us today.